Have some ideas for a custom piece? Fill out your details and we will call you back! Finding the perfect gate, fence or balustrade to complement your home or business can be a challenge. Choosing a fence or gate with a design that matches the features of your home and the quality to last is inherently difficult. Similarly, it can be frustratingly difficult to find a balustrade for the inside of your home that satisfies legal requirements without compromising your home’s interior design. The perfect combination of design appeal, functionality and durability seems almost unattainable and with Brisbane’s harsh climate, rust and rot can often plague inferior products. There is a clear solution, however and this is wrought iron. 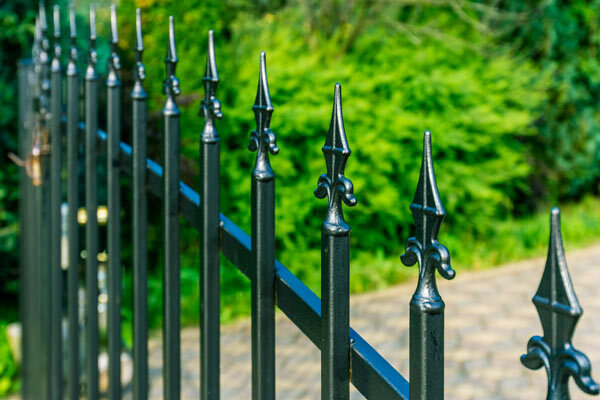 Wrought iron is unmatched in terms of durability and its malleability is rivalled only by its strength, meaning that you get a product with both appealing design and the durability to last you a lifetime. When it comes to wrought iron gates, balustrades, security fences and more, there is one name that stands above the rest: Dean Wilson Iron. The team here at Dean Wilson Iron specialise in crafting solid wrought iron products specifically suited to your home – we strive to provide quality and aesthetics that will last. All of our products are created to an unrivalled standard of quality with a durable and weather-resistant protective coating that will safeguard against rust and corrosion, leaving you with an immaculate finish whether it is inside or outside your home. We understand that our clients have unique requirements and we serve to satisfy your needs – whether they are centred on security, design, quality, or all three. No job is too big or too small; we can do anything from designing elegant and timeless gates to adorn the front of your property, to crafting sophisticated and stylish balustrades that will be the focal point of your home’s interior whilst still satisfying your legal requirements. 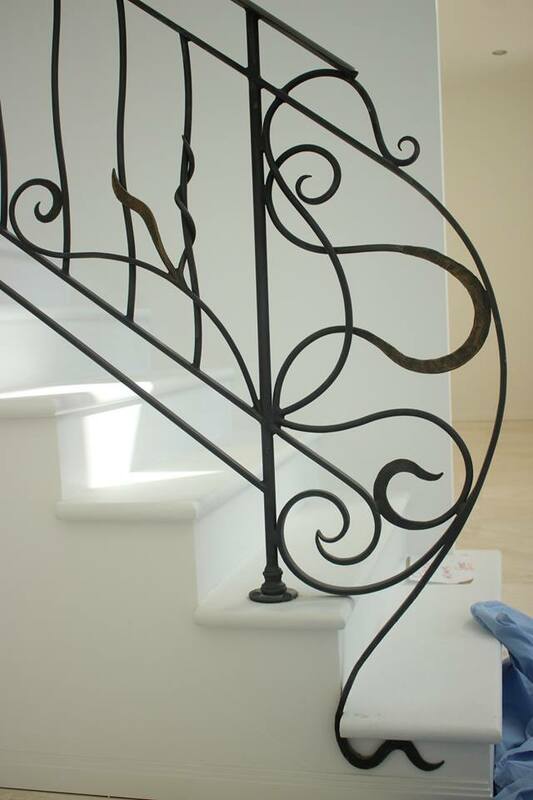 If you are looking for the perfect wrought iron solution for your home, then contact Brisbane’s wrought iron specialists here at Dean Wilson Iron. Get in contact with Brisbane’s premier iron men for specialised workmanship and the best advice on how to feature the timeless appeal of wrought iron in your home or business. Wrought iron products can play a significant role in the appearance of your home – whether it is the exterior or the interior, a wrought iron installation offers a timeless and intricate aesthetic that cannot be replicated by other products. There are many favourable properties of wrought iron and the three most prominent are malleability, durability and strength. Malleability allows wrought iron to be crafted into extremely intricate designs that can be altered according to your demands. The durability of wrought iron ensures that your product will remain immaculate, regardless of whether it is installed inside or outside your home and its strength means that it can withstand considerable strain and is perfect for use in security installations or balustrades. 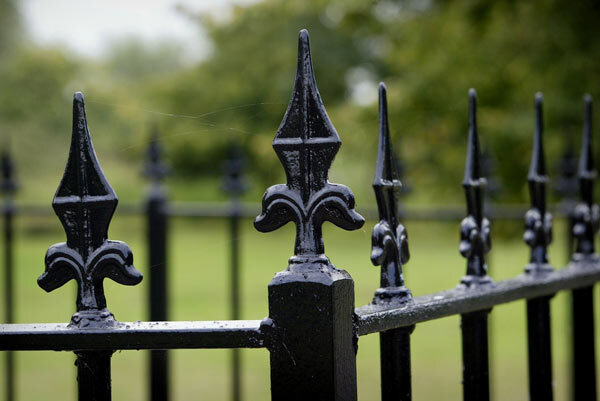 To guarantee that you receive all the benefits of wrought iron, the team here at Dean Wilson Iron handcraft all their products – from gates and balustrades, to security grilles and fencing. Each of our products is unique and tailored to suit your desires – we endeavour to create products that are both functional and personalised. We believe that your home should reflect your own style and to accommodate this, we will work with you to craft a wrought iron design like no other – a personal statement of sorts that can adorn your home inside or out. Our years of experience working with iron have afforded us a number of insights into the ideal methods of practice and provided us with the opportunity to refine our craft and practise our skills to bring you the very best in practical, functional and designer wrought iron products. Our knowledge and expertise allow us to fulfil our priorities and deliver the upmost in quality, without fail. Service designed to cater for your personal requirements. Unique designs that are tailored to complement your home perfectly. Quality that ensures an immaculate finish and unrivalled durability. Installation that is completed to the highest possible standard of quality. To provide every one of our clients with the perfect wrought iron solution, we have developed a process that ensures that all of your needs are accounted for. We place our clients at the forefront of our priorities and we strive to ensure that all of your needs are met throughout each step of the process. To design a product that perfectly accompanies your home, it is first necessary for us to ascertain precisely what you are seeking. We like to begin the process with a detailed discussion of your design vision, during which we can assess a number of factors including the features of your home, the positioning of the wrought iron installation, the purpose that your product will serve and, most importantly, how you want the finished products to look. During this discussion, we encourage you to outline any queries you might have, so we can clarify any points of confusion. Your satisfaction is very important to us and this stage of our process serves to provide us with all the details necessary to meet and exceed your expectations. Following our discussion of your needs, we can develop a quote for the work that is necessary to meet your requirements. The team here at Dean Wilson Iron understand that you don’t want to be left waiting on a quote and for this reason we strive to provide you with your quote without delay. With details of your desired design and some measurements and specifications that we receive during our initial discussion of the product in question, we can provide you with an instant quote that will roughly cover the work to be completed. Once we have all the details of your wrought iron installation, we can commence work. With our clients being at the forefront of our priorities, we endeavour to ensure that you remain completely involved throughout each step of the process; we recognise that your vision is likely to be specific and we like to be sure that our work remains strictly in accordance with your requirements. To achieve this, without compromise, we will keep you updated for the entirety of the production stage. Our team can provide you with photos of the product during the various stages of its completion, or alternatively, we welcome client inspections throughout the process, to confirm that our work is in line with your specifications. Finally, our wrought iron specialists will complete your work to the upmost standard of quality so it is ready for installation. 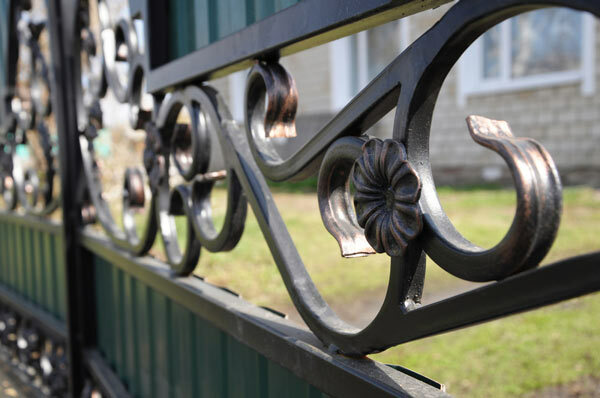 With a wealth of knowledge an experience when it comes to working with wrought iron, our team is well equipped to not only create the ideal wrought iron solution, but also to install it to your satisfaction. Each of our installations is completed to the highest standards to ensure that they are of the best aesthetics, strength and functionality. This will not only to complement the design of your home, but also – in the case of balustrades – meet legal requirements. If you are searching for the perfect fencing, gating, balustrading or security solution, then contact us today; we can provide you with an instant quote based on rough measurements and design features. Alternatively, if you have any queries or would simply like to peruse some photos of our previous installations, you can find us on Facebook. #1 I like wrought iron but I don’t know how to go about getting a design, or what it might cost? Here at Dean Wilson Iron, we understand that you do not want to rush into anything and because of this, we offer an initial consultation to discuss possible design concepts and provide you with a rough quote. This allows you to consider your options and determine if the product is for you. #2 I like the look of wrought iron, but I have heard it rusts. How do you address this? Steel does have the tendency to rust, so it needs to be finished correctly. To ensure that our products do not rust or corrode, we begin with a grade 3 sandblast then a protective zinc coating, which acts as a barrier between the steel and the atmosphere. We then finish our product with a decorative powder coat or our unique hand-rubbed natural iron finish. This ensures that our products are not susceptible to rust or corrosion. #3 Do you guarantee your work? We stand by every one of our products and as a testament to our dedication to quality we provide a ten-year guarantee on manufacture, installation and rust. #4 What is the timeframe needed to complete each job? Being a handcrafted product, we recommend allowing as long as possible to ensure the best result. Our average time, from design to build, is 6 to 8 weeks so getting in when you are designing your home or renovation is ideal, as it allows a reasonable timeframe.